A man can survive several days without taking any food but no more than a few minutes without oxygen. Therefore, breath plays an essential role in maintaining the vital functions of the body. Yogic breathing exercises (pranayama) optimize the gas exchange processes in the lungs and cells and provide a very efficient way to increase the supply of oxygen to the brain. Pranayama is also known to increase considerably the energy (prana) level of the practitioner and to calm the mind by reducing the frequency of the brain waves. That is why pranayama is often practiced as a preparation for meditation. It is the main breathing technique used during yoga postures. A deep, rhythmical and conscious abdominal breath allows to free the solar plexus from many nervous and emotional tensions located in this area. It is also a simple and efficient way to recharge oneself in prana (vital energy). The full yogic breath uses the full capacity of the lungs (abdomen, chest and clavicles). Hence, it provides the highest level of oxygenation of the cells. It is also a very soothing and relaxing breath for the nervous system. This exercise consists in energetic exhalation through the nose by pushing in the abdomen on every exhalation. The inhalation occurs naturally, without forcing. Then one holds the breath and focus in one of the chakras, for example the solar plexus (Manipura). On a physiological level, this practice is excellent for the brain as it directly stimulates the frontal lobes by providing large quantities of oxygen. On an energetic level, it quickly recharges the solar plexus in prana and also contributes to release emotional tensions in this area. A cycle of alternate nostril breathing consists in inhaling through the left nostril for 4 sec., holding for 16 sec., exhaling through the right for 8 sec., inhale again through the right, hold and exhale through the left and so on for a few cycles. This exercise is one of the main technique used in pranayama because it brings balance to the body and mind. By stimulating and harmonizing the two brain hemispheres, one can better develop the capacities inherent to each hemisphere: the right one manages all our creative and artistic abilities and the left one is used for reasoning and any activity that requires the intellect. On an energetic level, the aim of this exercise is to purify and awaken Ida and Pingala, two subtle channels of energy (nadis) located along the spine and playing a central role in hatha yoga. 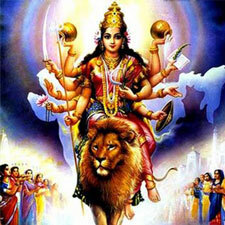 Ida represents the lunar and feminine aspect of the energy and Pingala the solar and masculine aspect. Are breathing exercices any good for the brain ? Yes. Breathing exercises have a very beneficial influence for the brain because an important supply of oxygen is provided, particularly during the retention of the breath. Moreover, some techniques such as the alternate nostril breathing allow to balance both brain hemispheres, hence optimizing the practitioner's mental faculties. 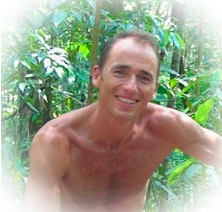 David is Swiss-French and teaches yoga since 1994. Before discovering yoga, he was practicing Vipassana meditation daily. I can’t sleep well. Can yoga help me sleep better? I’m very stressed. Can yoga help me to relax and better manage my stress? I’m often overwhelmed by my emotions. Can yoga help me better manage my emotions? I am really stiff. Can I still practice Yoga?